Matthew & Tim карри. . Wallpaper and background images in the Мыслить как преступник club tagged: criminal minds matthew gray gubler tim curry. 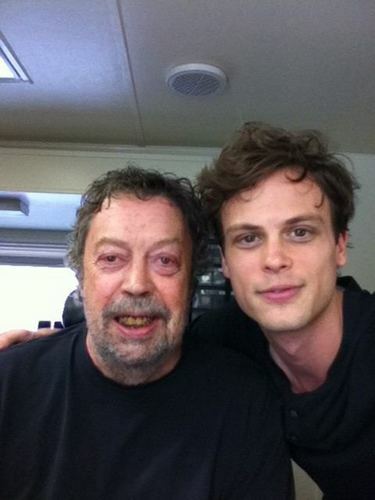 why does gorgeous Matthew Gray Gubler have to take a picture next the scary looking Tim Curry?? him in those episodes gave me nightmares.